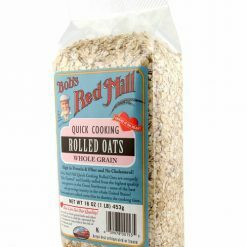 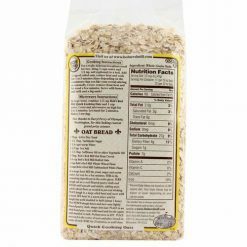 Bob’s Red Mill Quick-Cooking Rolled Oats are 100% whole grain and kiln toasted. 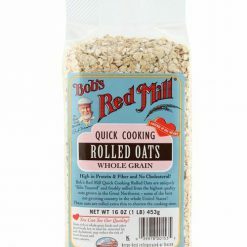 Prepare on the stove or in the microwave for a delicously versatile and hearty bowl of oatmeal that is ready to eat in just 4 minutes. 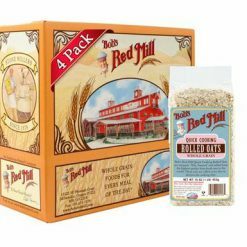 We encourage creativity with your choice of toppings: try mascarpone cheese and berries, flax and chia seeds, a poached egg and salsa, dried fruits and nuts, or anything else your imagination can think of!